Fuse Sport & Entertainment has been appointed by Carlsberg to handle the global guest hospitality programme for the beer brand's UEFA Euro 2016 activation. Carlsberg expects to host "thousands" of guests from more than 40 markets throughout Euro 2016. The tournament will take place in ten locations across France from 10 June until 10 July next year. Fuse, which is part of the Omnicom Media Group, has worked with Carlsberg for the past four years. It has advised the brand on its global sponsorship strategy and previously handled its Premier League ticketing and hospitality programme across the UK. Louise Bach, marketing manager, consumer experience at Carlsberg, said: "Fuse Sport & Entertainment impressed us not only with their strength in football and expertise in managing and running programmes of this scale, but also the creativity they showcased throughout their response to our brief." 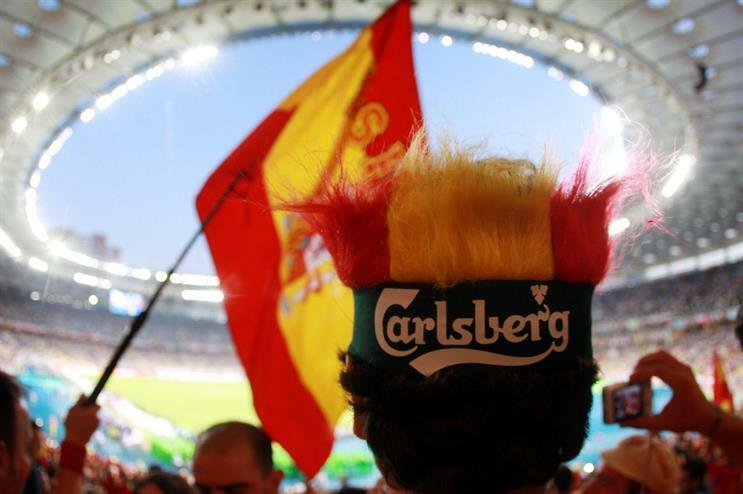 Ros Robinson, head of events and hospitality at Fuse, added: "We are delighted to add the Uefa Euro 2016 project to our existing remit for Carlsberg. Our experience in running complex guest hospitality programmes for brands, in addition to our strong footprint across France - including an office in Paris - ensures we’re well-placed to activate Carlsberg’s UEFA Euro 2016 hospitality programme next year." Fuse announced last month it will collaborate with agency TRO to handle Nissan’s experiential activity at the UEFA Champions League Final in Berlin.